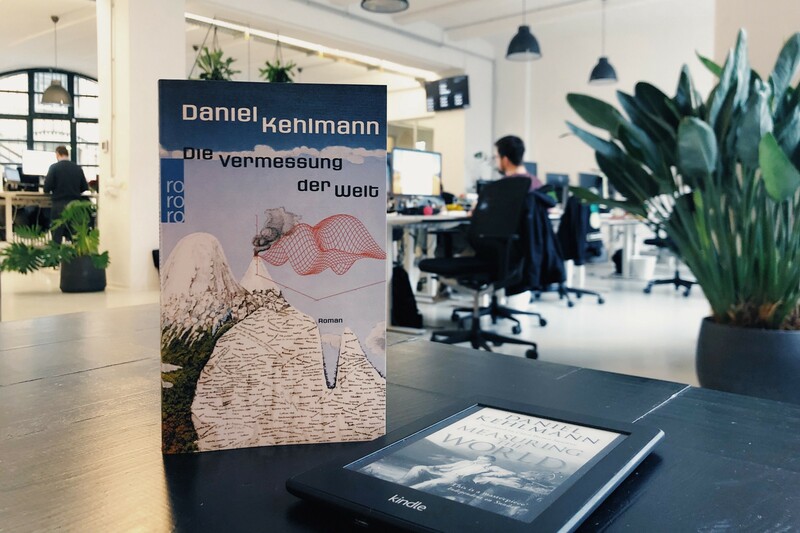 After spending several months with Sapiens and Homo Deus we’ve decided to continue our journey into humanism, this time with Daniel Kehlmann’s “Measuring the world”. Most Germans will probably be familiar with it, but nobody at the discussion table had actually read it yet, so we decided to catch up on this modern classic. The original is written in German and can be bought here, but there’s also an English translation [affiliate links]. We meet on Tuesday, December 18th, 6:45pm at our office at Oranienstraße 6, 10997 Berlin. We then head over to Max & Moritz for the discussion.